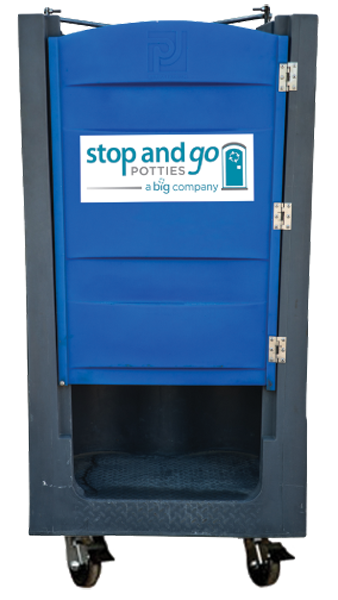 Offering the best solutions, our porta potties are used every day by thousands of customers. 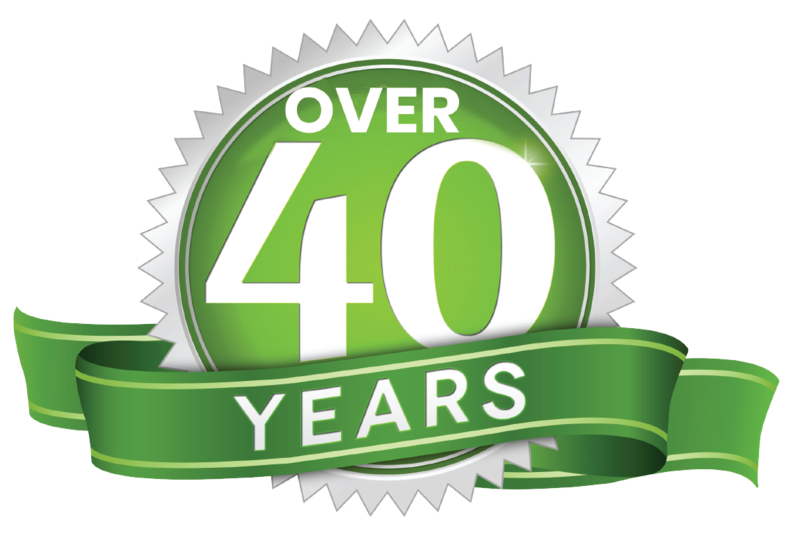 Serving Happy Customers since 1975. 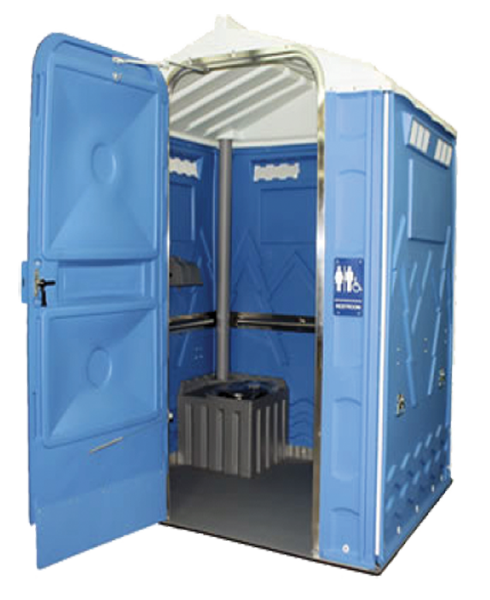 Click on any of the portable sanitation solutions below to request a quote for services. Our standard lockable cans come with the following: pot, urinal, same day local delivery, the best service, and a great price. Our porta potties are clean and presentable. Is space and/or accessibility an issue? With a ground level floor, hand rails, and ADA space clearance, this portable is equally great for wheelchair access or the guy who just wants more room. The Elevator Can: Going up? without the use of a crane. When you’ve got to go in high places! Flying cans are standard construction cans secured in a lifting hoist which raises to the upper levels of your job site. 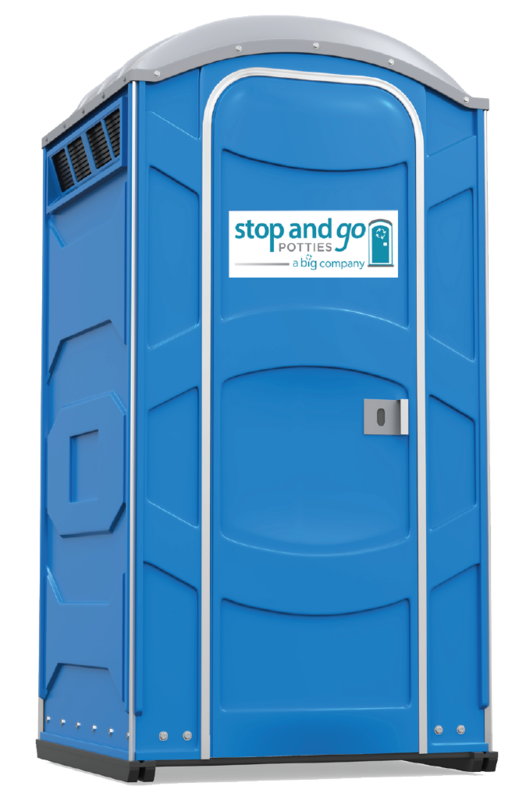 Our lockable flying cans come with the following: pot, urinal, same day local delivery, the best service, and a great price. Hand wash station comes equipped with holding tank for clean and used water, soap, paper towels, and manual foot pump. Place anywhere, no water or power lines needed. Connect to your job trailer as needed, schedule regular service and don’t think about it again. 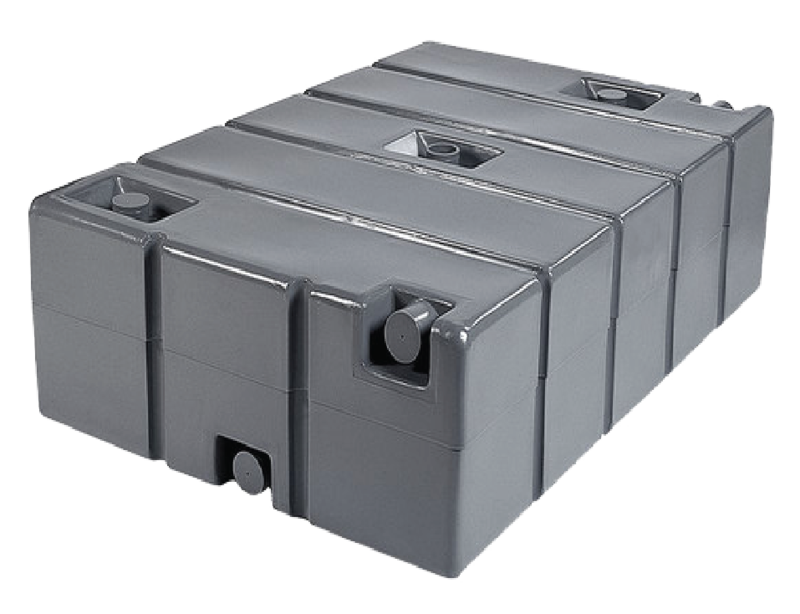 Also available are 250 gallon non-potable water holding tanks, which are perfect for remote job sites or events. 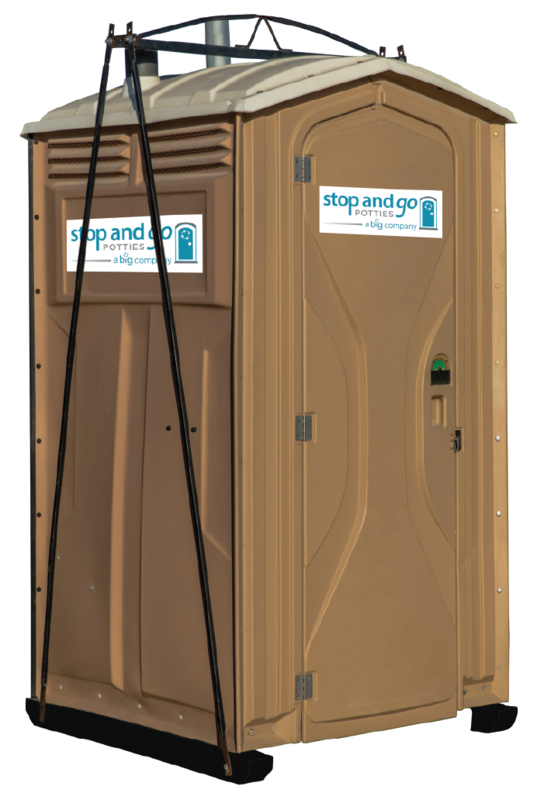 Looking for a “step-up” in your porta potty rental? Look no further. The best for your wedding, banquet or outdoor event. The exterior has two separate entrances for ladies and gentlemen. The interior wood flooring, dark wood trim accents and ambient lighting add an elegant touch. These bathrooms feature individual private stalls with flushing toilets, air conditioning, and hot-cold running water at the built-in vanity. Comes fully furnished with toilet paper and paper towels. 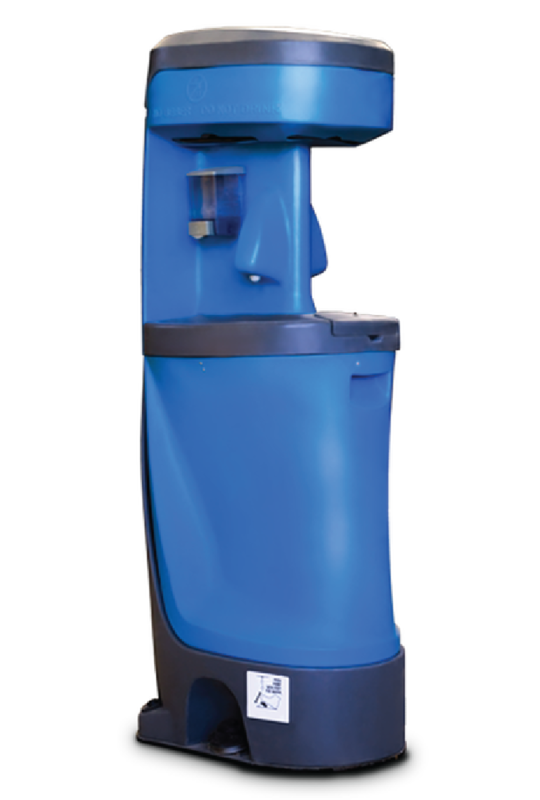 Get the portable sanitation solution that meets your specific need.